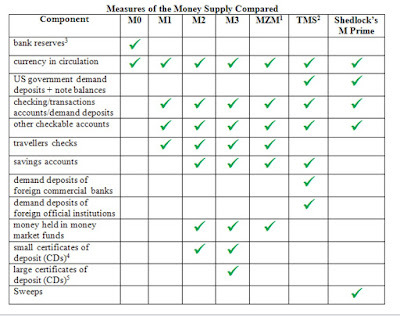 When Shostak explains that purchasing of money market instruments does not increase or decreases total money supply and thus double counts it in M2, I just had a disturbing thought. 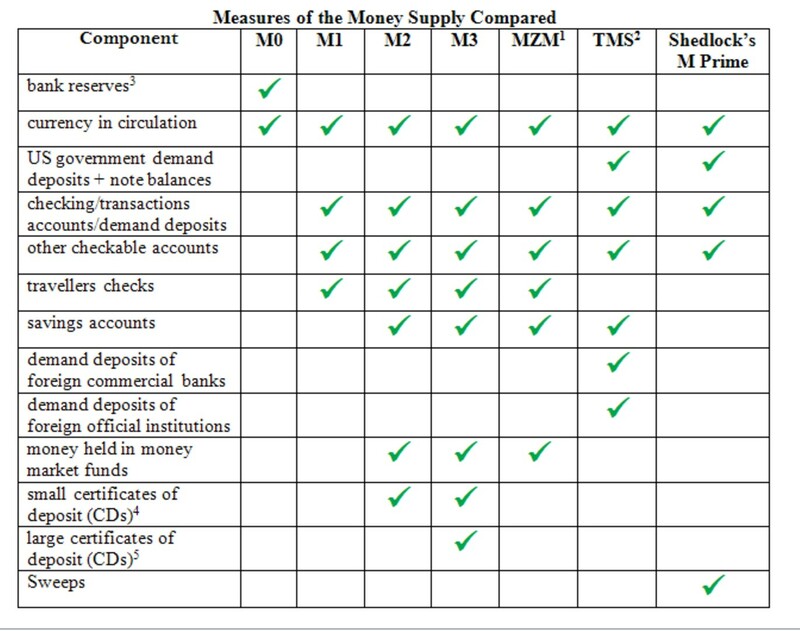 The Federal Reserve in the United States currently does have M2 targets. And M2 control is supposed to be a major part of its work. It's rather disturbing that the open market operations people are trying to control a figure that may have little do with the actual money supply. Something this wrong should not be done on a large scale. Why isn't this even part of mainstream debate? Why haven't Congressional hearings by Kucinich, Grayon, Sanders,.etc focused on this main problem, instead of conspiracy theories about Bernanke and bankers? This is also a totally irrelevant comment, but reading the mentions of "Austrian Economics Newsletter" and "Quarterly Journal of Austrian Economics" reminds me of the tragic fact that Austrian economists are only published in their own in-house journals. Tragic in that Austrians are a very insular group who either are unfit or unwilling or both to publish in the mainstream. And tragic in that the occasional useful insight, such as that of Shostak, probably slips through the cracks because of it. "The Federal Reserve in the United States currently does have M2 targets. And M2 control is supposed to be a major part of its work." As far as know, the Fed offically ended any targeting of broad money aggregates in 1993, but in practical terms it had ended in October 1982. If you have evidence against this, I would like to see it. Never mind, I just checked that the finance textbook where I first saw it was written in 1992. Thanks for the link - will have a read.